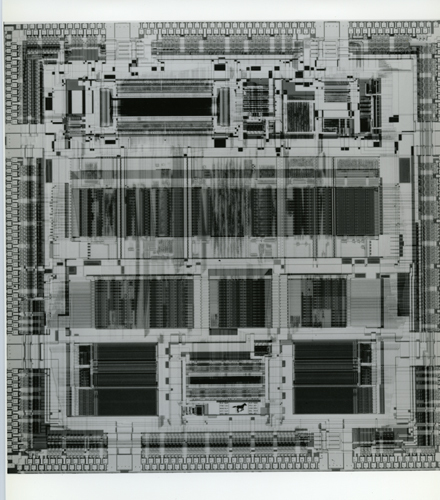 This is a B&W image die shot of the HP PA-7000 Mustang. . Written on verso side of image in black pen is "PA7000 ('Mustang') in Snakes Workstation Return to Ruby Lee, HP."